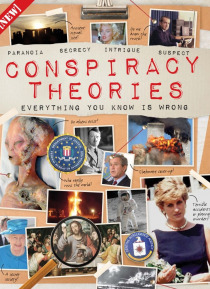 From the mysteries surrounding groups such as the Freemasons, Illuminati and Templars, to the questions surrounding the death of Princess Diana, the assassination of JFK, and the cover-up at Roswell, nothing divides opinion like a conspiracy theory. But while many people will just accept the truth, should we really be digging a little deeper and looking a bit harder? And if you do, who knows what… you may find… Featuring: The truth revealed - From the death of Princess Di to the assassination of JFK, find out what really happened. Global cover-ups - Do we know everything about the moments that changed the course of history? Are we alone? - What happened at Roswell? Who are the Men In Black? Are aliens living on Earth already? Secret societies - Who really runs the world?